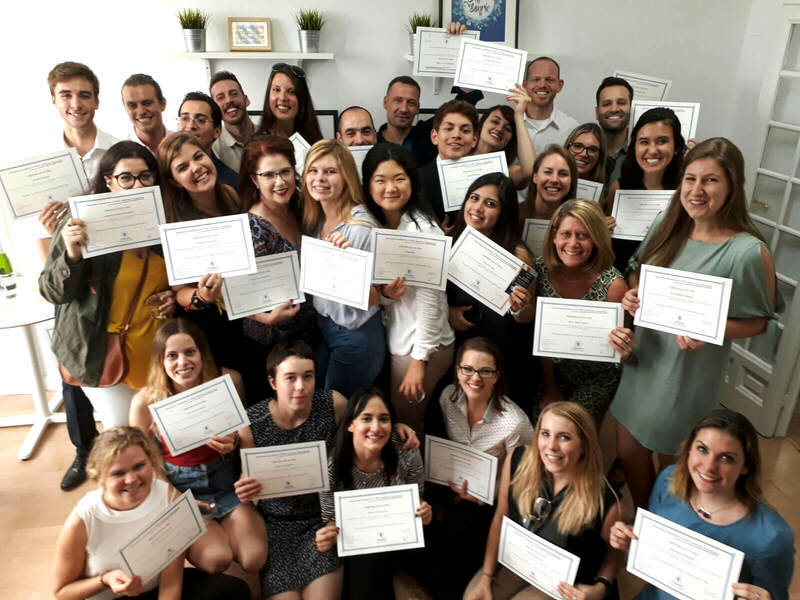 The Teacher Training Madrid (TtMadrid) academy offers a four-week accredited Teaching English as a Foreign Language (TEFL) course, which makes it possible to live and teach in Madrid with a one-year student visa. It’s the perfect opportunity for a full immersion in one of Europe’s most exciting city. Moreover, The Nomads provides special perks for new TtMadrid students from the Philippines and other non-European Union countries. TtMadrid’s one-year visa program, also known as the “Spanish and Teaching Abroad Program”, combines an internationally accredited TEFL certification with intensive Spanish classes. It welcomes native English speakers and bilinguals from all corners of the world, and in addition, to a solid and comprehensive training. It also provides them with a place they can call home. “The philosophy of TtMadrid”, says the academy’s founder and director Natasha Mason Kennedy, “is that we support the students in every aspect of their lives.” It goes from the academy’s invaluable assistance while going through the process of obtaining a student’s visa to finding an accommodation in Madrid, setting up a bank account, buying a phone, but also finding the best tapas in town! “If it wasn’t for TtMadrid, my journey would have been a thousand times harder”, says Laura, an ex-graduate from Scotland. “They are not just a school, they’re like a family unit, and that’s something really valuable when you’re so many thousands of miles away from yours!”. 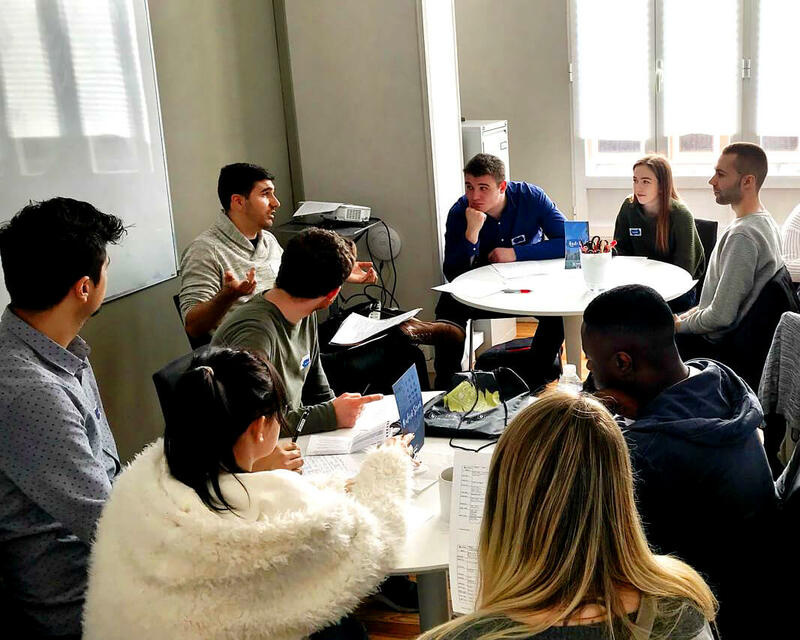 Of course, there is the TEFL program itself, a four-week intensive course that provides students with all the necessary tools to be successful while teaching English in Spain. “There is no doubt that it is a very demanding course”, James admits, “but at the end of the four weeks, I was feeling fully prepared to give high-quality classes.” It didn’t take James a long time to find out whether it was true since, like all of TtMadrid graduates, he lined up several teaching jobs almost immediately after the end of the program—thanks to the school’s daily job alerts and assistance in finding work with companies and agencies offering legal contractual agreements. But the experience is not only about work, it is also about enjoying the chance to get completely immersed in a different culture and learn a new language. Intensive Spanish classes, delivered by TtMadrid’s Spanish counterpart—La Aventura Española Madrid (LAEMadrid)—are a crucial part of the program. “Our teachers at LAEMadrid share TtMadrid’s approach to teaching, which is both fun and dynamic, but with a real academic backbone”, says Natasha. Mastering the language makes it easier for graduates to dive into the vibrant life of the city, its rich food culture, and its colorful party scene. Madrid’s central position in Spain is ideal to travel around Spain, and also Europe, and discover the huge diversity and fascinating history of the old continent. Agency collective Nomads Global Studios, through its travel media & community The Nomads, has recently partnered with TtMadrid in providing the best career and lifestyle advice for interested enrollees from the Philippines and other non-European countries. Filipinos and non-Europeans can inquire about the Spanish and Teaching Abroad Program, which includes applying for a one-year Spanish student visa, by contacting hello@nomadstreet.com or through social media: www.facebook.com/nomadstreet or www.instagram.com/nomadschat. By using the enrollment code “NOMADS” when they inquire and sign up at TtMadrid, new students can enjoy free airport pick-up upon their arrival as well as a special city tour of Madrid. For more information, log on to www.nomadstreet.com.